Hey guys! 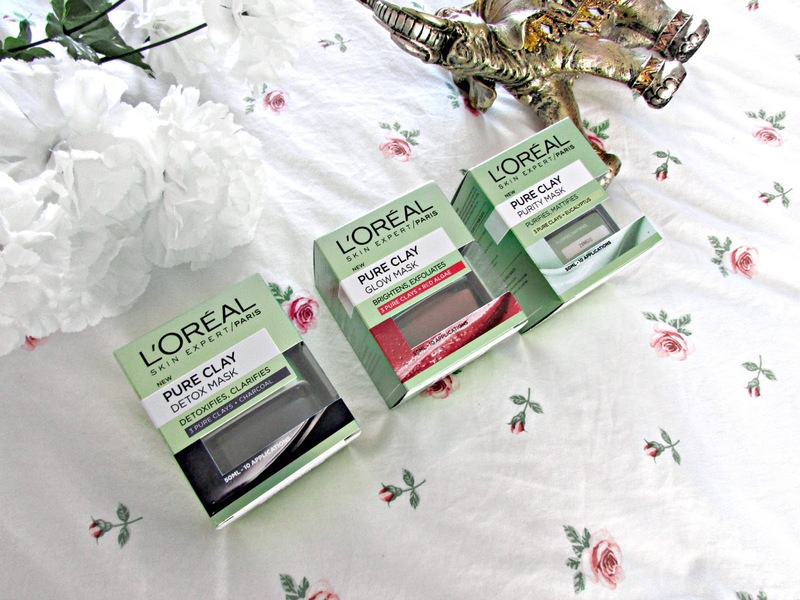 Today I am back with another beauty themed post and this time I am talking all about the beauty themed products that have taken the beauty community by storm at the moment and that is the L'Oreal Pure Clay Masks. Face masks are always something that I am interested in and I love trying new ones. L'Oreal also happens to be one of my favorite brands so when I saw that they were releasing three new face masks I was instantly intrigued. I've been using these products for a good few weeks now and noticed such a difference in my skin so I thought why not share this with you and write a post telling you all about them. Keep reading to find out more. So as you can see there are three different masks and they all come in different colors and uses which I will go into in more detail later. The one thing I love about all these products is that you can use them at the same time as they target different sections of the face to improve the condition of them. I just love these masks as they are so different to anything else I've used. Of course you can use these masks on their own as well but I prefer using them to target the right section of my face as I don't find it beneficial to use these in a section of the face that doesn't need it. 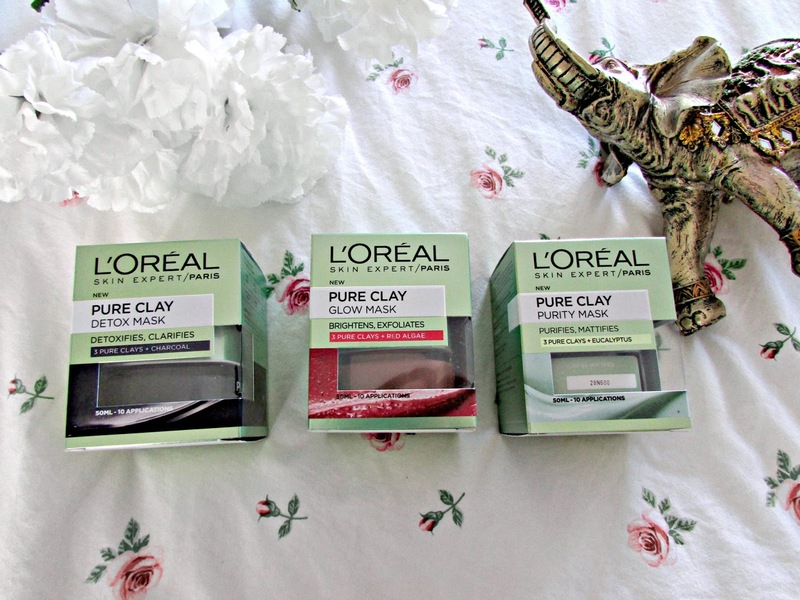 Each of these masks comes with three different clays; koalin, montmorillonite and ghassoul. Koalinis used to absorb the impurities and seabum, monmorillonite is a clay that is rich in minerals and helps to eliminate imperfections and ghassoul is another clay that is concentrated in minerals which helps to clarify the complexion. When I bought this mask the counter had little cards explaining how to use it. On this card there were three different skin testers. The skin testers are designed for you to press on three areas of your skin, the t-zone, cheek and the chin. Depending on how oily your skin is the testers will either be full of masks or be completely empty. This is how you know where to use the masks. If the skin tester is full of marks then your skin is oily. This means you will have to use the Pure Clay Purity Mask on that area of your face. If the next skin tester has only a few little marks then this is where the detox zone is. 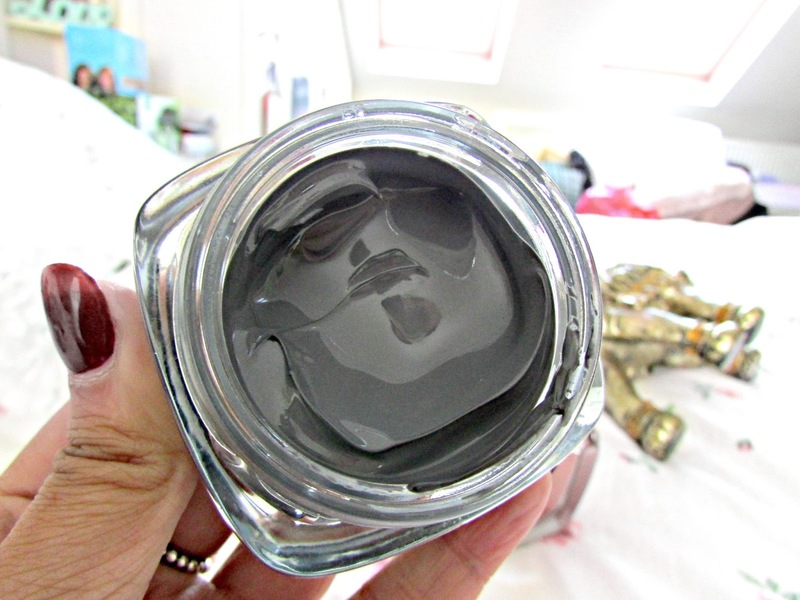 This is where you will need to use the Pure Clay Detox Mask. Last but not least if there are little to no marks on your skin tester then this is the dryest part of your face known as the dull zone. This is where the Pure Clay Glow Mask will be applied. 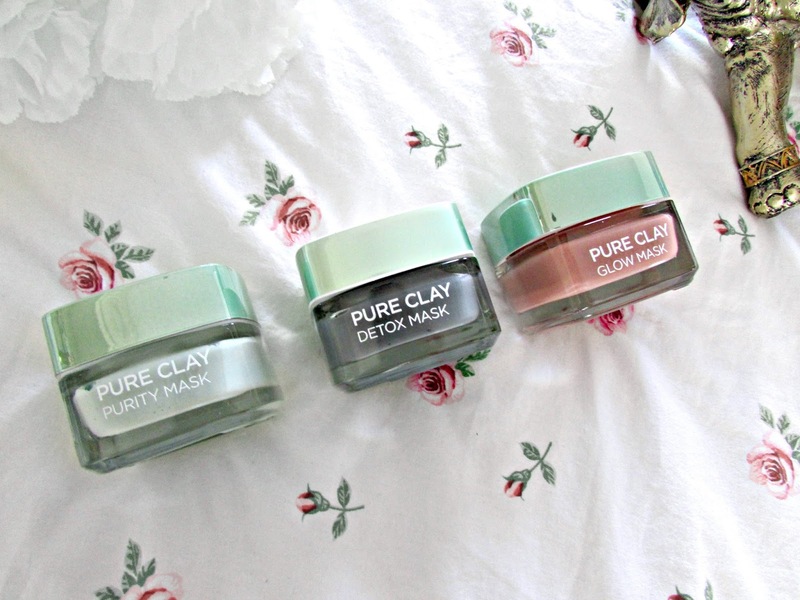 The first mask that I will be speaking about is the Pure Clay PURITY mask which comes in a green color. This mask has got three clays and is also combined with eucalyptus. Like I have mentioned above this mask is used to combat the oiliest part of your face. Mine happens to be my chin. So I applied this on my chin and just left it on for round 10 minutes. Once I used it I noticed such a difference in the skin on my chin. It felt a lot firmer, softer and a lot more moisturized. I can't remember I put my hands on my chin and thought it felt dry. It's definitely helped transform the skin so if you have a mainly dry complexion this is a mask I'd definitely recommend. 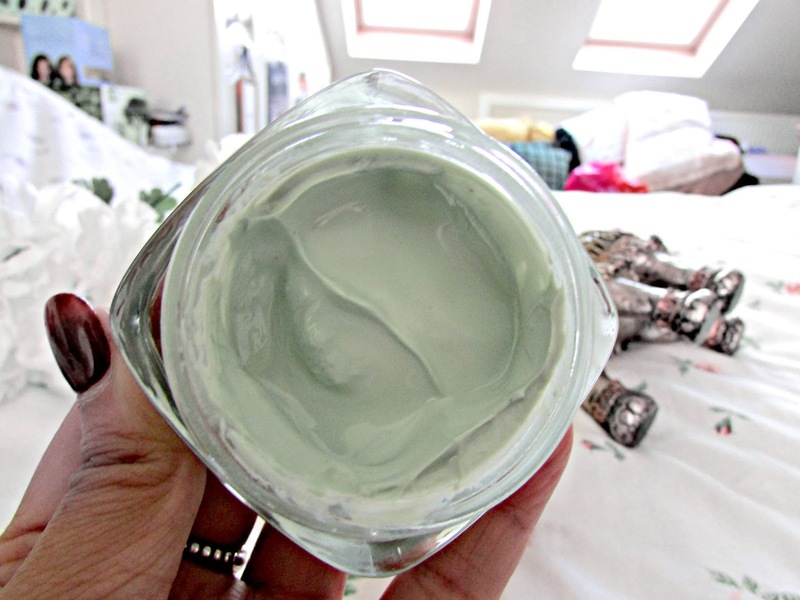 The next mask is the Pure Clay Detox Mask that is meant to detoxify and clarify the skin. It contains the three pure clays along with charcoal which I must admit I thought was a little bit of a weird combination at first but it works as this is the ingredient that removes the impurities. This is obviously meant to go to the detox part of your face. This part of my own face happens to be my t-zone, so down my nose and my forehead. I must admit I've noticed such a difference in my t-zone sine using this mask. My skin just looks a million times clearer and cleaner as well. I also love how bright the skin looks after I have used this mask. 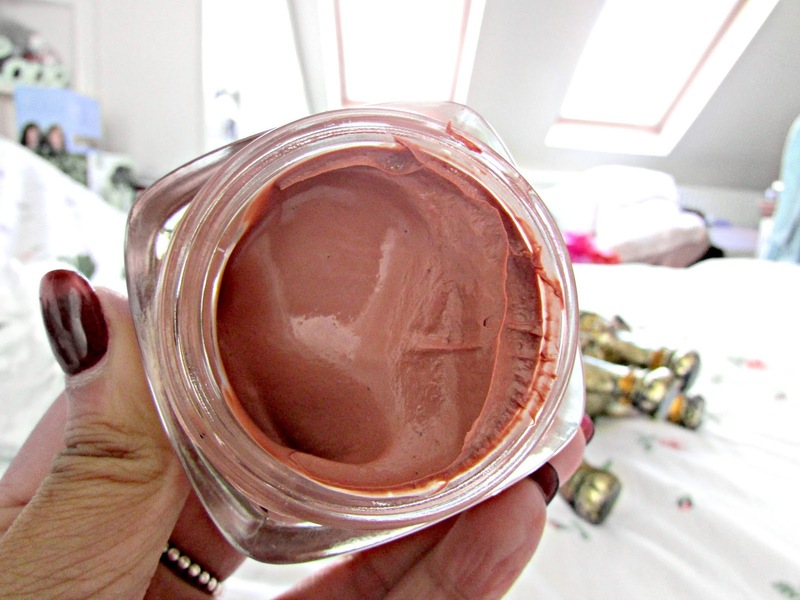 The third and final mask is the Pure Clay GLOW Mask, This mask is meant to target the dry and dull areas of your face which happens to be my cheeks. This mask contains the same 3 pure clays as in the other two combined with red algae. Altogether this helps to brighten the skin and leave it looking a lot more luminous. This is probably my favorite mask out of the three as I just love clear and bright skin and I think this is the best one out of the three for doing that. Overall I think these three masks are absolutely incredible. They just work absolute wonders on the skin and really do leave it feeling soft, smooth, moisturizer and brighter as well. They are by far the best drugstore masks I have ever come across. They are around £7.99 each which I know is a little pricey but they are all honestly amazing. If you are interested in these masks then just click HERE to head on over to have a browse. Have you tried these masks before? Which one is your favorite? What is your favorite face mask?